Home Mobile News Android Programming News What role does Linux play in securing Android devices? In this article, we will talk about the Android Model particularly the Linux Kernel layer, over which Android is built. We will also talk about Android’s security features and offerings and how Linux plays a role to secure Android OS. This article is taken from the book Practical Mobile Forensics – Third Edition by Rohit Tamma et al. In this book, you will investigate, analyze, and report iOS, Android, and Windows devices. Each of these layers performs several operations that support specific operating system functions. Each layer provides services to the layers lying on top of it. 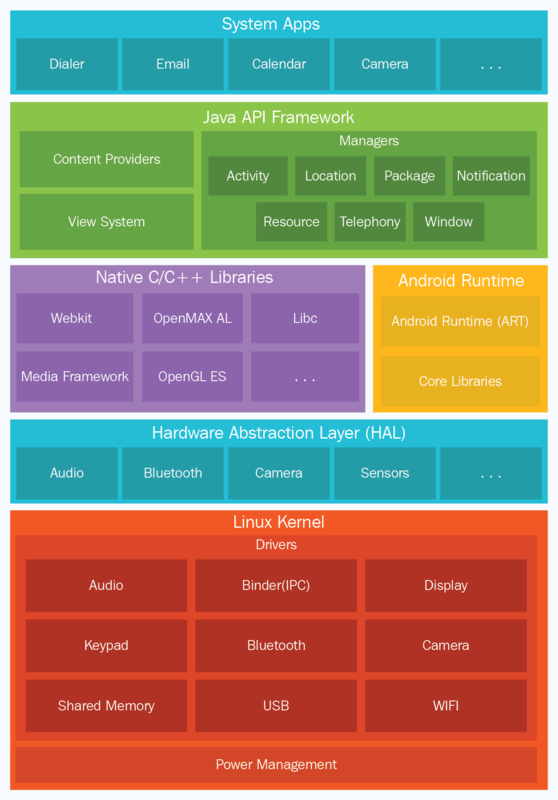 Android OS is built on top of the Linux kernel, with some architectural changes made by Google. There are several reasons for choosing the Linux kernel. Most importantly, Linux is a portable platform that can be compiled easily on different hardware. The kernel acts as an abstraction layer between the software and hardware present on the device. Consider the case of a camera click. What happens when you take a photo using the camera button on your device? At some point, the hardware instruction (pressing a button) has to be converted to a software instruction (to take a picture and store it in the gallery). The kernel contains drivers to facilitate this process. When the user presses on the button, the instruction goes to the corresponding camera driver in the kernel, which sends the necessary commands to the camera hardware, similar to what occurs when a key is pressed on a keyboard. In simple words, the drivers in the kernel command control the underlying hardware. The Linux kernel is responsible for managing the core functionality of Android, such as process management, memory management, security, and networking. Linux is a proven platform when it comes to security and process management. Android has taken leverage of the existing Linux open source OS to build a solid foundation for its ecosystem. Each version of Android has a different version of the underlying Linux kernel. The Marshmallow Android version is known to use Linux kernel 3.18.10, whereas the Nougat version is known to use Linux kernel 4.4.1. The next few sections will help us understand more about Android’s security features and offerings. 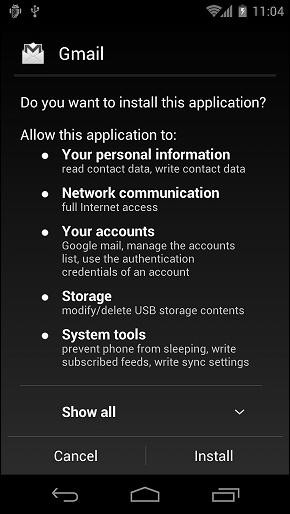 As shown in the following screenshot, any Android application must be granted permissions to access sensitive functionality, such as the internet, dialer, and so on, by the user. This provides an opportunity for the user to know in advance which functions on the device is being accessed by the application. Simply put, it requires the user’s permission to perform any kind of malicious activity (stealing data, compromising the system, and so on). This model helps the user to prevent attacks, but if the user is unaware and gives away a lot of permissions, it leaves them in trouble (remember, when it comes to installing malware on any device, the weakest link is always the user). Until Android 6.0, users needed to grant the permissions during install time. Users had to either accept all the permissions or not install the application. But, starting from Android 6.0, users grant permissions to apps while the app is running. This new permission system also gives the user more control over the app’s functionality by allowing the user to grant selective permissions. For example, a user can deny a particular app access to his location but provide access to the internet. The user can revoke the permissions at any time by going to the app’s Settings screen. In Linux systems, each user is assigned a unique user ID (UID), and users are segregated so that one user cannot access the data of another user. However, all applications under a particular user are run with the same privileges. Similarly, in Android, each application runs as a unique user. In other words, a UID is assigned to each application and is run as a separate process. This concept ensures an application sandbox at the kernel level. The kernel manages the security restrictions between the applications by making use of existing Linux concepts, such as UID and GID. If an application attempts to do something malicious, say to read the data of another application, this is not permitted as the application does not have user privileges. Hence, the operating system protects an application from accessing the data of another application. Android offers secure inter-process communication through which one’s activity in an application can send messages to another activity in the same application or a different application. To achieve this, Android provides inter-process communication (IPC) mechanisms: intents, services, content providers, and so on. It is mandatory that all of the installed applications are digitally signed. Developers can place their applications in Google’s Play Store only after signing the applications. The private key with which the application is signed is held by the developer. Using the same key, a developer can provide updates to their application, share data between the applications, and so on. Security-Enhanced Linux (SELinux) is a security feature that was introduced in Android 4.3 and fully enforced in Android 5.0. Until this addition, Android security was based on Discretionary Access Control (DAC), which means applications can ask for permissions, and users can grant or deny those permissions. Thus, malware can create havoc on phones by gaining those permissions. But, SE Android uses Mandatory Access Control (MAC), which ensures that applications work in isolated environments. Hence, even if a user installs a malware app, the malware cannot access the OS and corrupt the device. SELinux is used to enforce MAC over all the processes, including the ones running with root privileges. SELinux operates on the principle of default denial: anything that is not explicitly allowed is denied. SELinux can operate in one of the two global modes: permissive mode, in which permission denials are logged but not enforced, and enforcing mode, in which denials are both logged and enforced. With Android 6.0 Marshmallow, Google has mandated Full Disk Encryption (FDE) for most devices, provided that the hardware meets certain minimum standards. Encryption is the process of converting data into cipher text using a secret key. On Android devices, full disk encryption refers to the process of encrypting all user data using a secret key. This key is then encrypted by the lock screen PIN/pattern/password before being securely stored in a trusted location. Once a device is encrypted, all user-created data is automatically encrypted before writing it to disk, and all reads automatically decrypt data before returning it to the calling process. Full disk encryption in Android works only with an Embedded Multimedia Card (eMMC) and similar flash devices that present themselves to the kernel as block devices. Staring from Android 7.x, Google decided to shift the encryption feature from full-disk encryption to file-based encryption. In file-based encryption, different files are encrypted with different keys. By doing so, those files can be unlocked independently without requiring an entire partition to be decrypted at once. As a result of this, the system can now decrypt and use files needed to boot the system, and open notifications without having to wait until the user unlocks the phone. Trusted Execution Environment (TEE) is an isolated area (typically a separate microprocessor) intended to guarantee the security of data stored inside it, and also to execute code with integrity. The main processor on mobile devices is considered untrusted and cannot be used to store secret data (such as cryptographic keys). Hence, TEE is used specifically to perform such operations, and the software running on the main processor delegates any operations that require the use of secret data to the TEE processor. Thus we talked about the Linux Kernel layer, over which Android is built. We also talked about Android’s security features and offerings and how Linux plays a role to secure Android OS. To learn more about methods for accessing the data stored on Android devices, read our book Practical Mobile Forensics – Third Edition. The kernel community attempting to make Linux more secure.